Suzanne Parry (b.1980) is from Cornwall, and re-located to Scotland in 2006. The last few years have proved the most formative and consolating of her career so far. Her pre-occupations with narrative have evolved into a disposition for composing in rich, empathetic palettes concerned with memory, humanity and identity. The last twelve months have been a particularly fruitful time; Suzanne's commission from Edinburgh Contemporary Music Ensemble Views Through Glass was premièred in March, and she has recently finished making Encounters, a compilation CD presenting new chamber music from Edinburgh. Performed by The Edinburgh Quartet and soprano Lore Lixenburg, her album track This Light is a setting of Lorca's Llagas De Amor. She is currently composing a staged Cantata due for Opera Shorts to be premièred early next year. The work, entitled So, Dearest Artist is based on personal correspondences during the Great War. Suzanne studied Composition at The Royal Welsh College of Music and Drama from 1999-2004, graduating with a first class BMus (hons) and an MMus with distinction. During her time at RWCMD Suzanne received the Erwin Thomas Scholarship, a PRS Foundation Scholarship, and The Composition Prize for 3 years in succession. 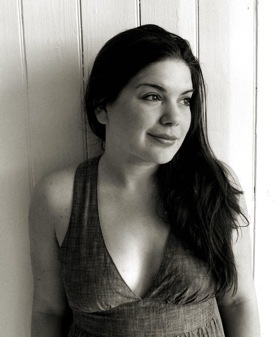 After winning the 2002 Conservatoire Composer's Forum with Anticipating Eden, she made her London début in the Purcell Rooms as part of The State of The Nation Festival. After graduating, Suzanne was appointed Associate Composer for Music Theatre Wales. This culminated in the creation of the chamber opera Of Dark Love, performed at The Temple of Peace and Health in 2006. An interest in theatrical music has led to a commission from Theatre in the Mill for Judith Adam's Clickwind, and several composer-choreographer collaborations including two projects with Diversions Dance Company, Andrea Severa at Chapter Arts, and more recently, Articulate Animal at Dance Base. She was a founding member of Cardiff New Music Collective, and for her work as a composer and promoter of new music was recognised with a Cardiff Future Focus Artists Grant. After receiving The University of Edinburgh's Humanities and Social Sciences College Award, Suzanne began a PhD by Composition in 2006. Her first portfolio piece Long Walks in Small Spaces won a place in the opening concert of the 2007 International Conference of Music since 1900. Since joining the music department she has been an active contributor to the creative life of the department through her membership to The Composers' Orchestra, and her role as a teacher of undergraduate composition.